Tomato-Miso Pad Thai – Olive For Greens. This dish is bursting with flavor! It’s so simple and cooks in less than 15 minutes! 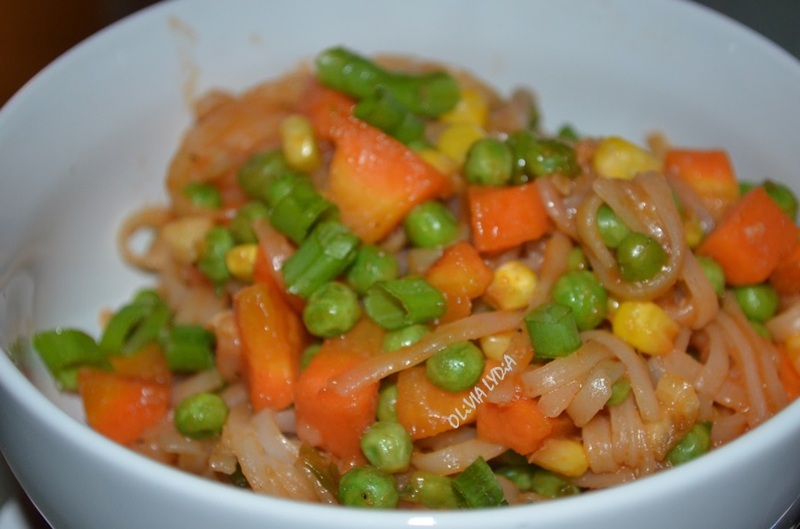 The brown rice pad Thai noodles cook in 3 minutes. This meal is gluten-free, guilt-free, meat-free and stress-free. What more can you ask for?! This recipes calls for miso paste. Most of us, who have had miso soup at Japanese restaurants, know what miso paste is. (Click here to try my miso soup recipe). By definition, miso paste is a fermented soybean paste. I definitely recommend buying it and experimenting with miso paste. You can make anything with it such as sauces or add it to a dish for a flavor boost. This recipe was definitely an experiment. In fact, after I made it the first time, “eye balling” measurements, I remade it the next day and measured the ingredients just to share it with everyone. Enjoy! TIP: Don’t have pad Thai noodles? Use Pho noodles or any other Asian noodle. In a large pan add the oil, garlic, white onion parts, half of the green parts and carrots. Sauté on medium heat for 3 minutes. Now add the tamari, tomato paste, miso paste and water. Lower the heat and mix well for about 5 minute. Careful not to let the liquid disappear. Turn off the heat and toss in the noodles. That’s it! 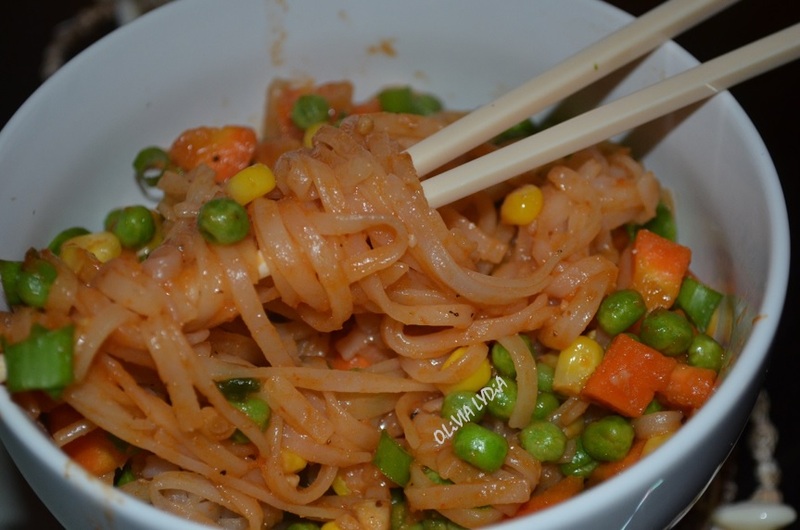 Pingback: Purple Pad Thai (V, GF, OF) – Olive For Greens.